Welcome to our PARK! A home to the most incredible puzzle adventures for all ages! 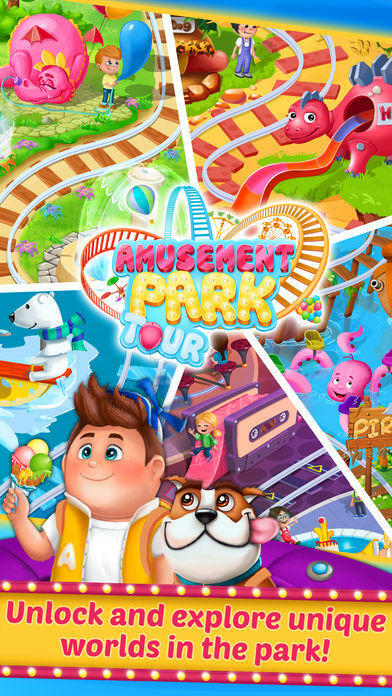 Roll your toy cart through myriads of crazy and colorful levels and play in your favorite theme parks. Experience the rollercoaster match-3 gameplay! Swap tokens to create amazing combos! 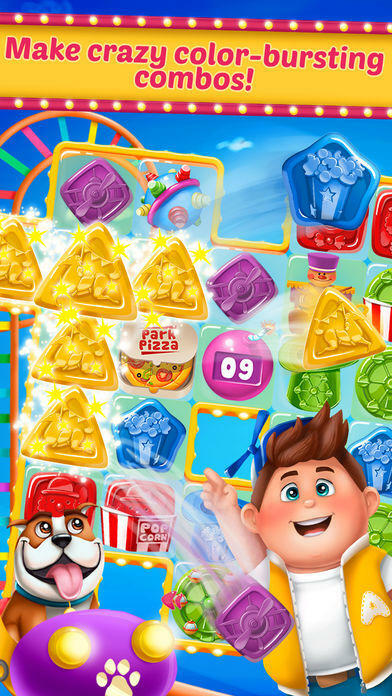 Try all possible shapes and quantities and watch the game board go wild on every tap! Meet Bobby the kid and his chubby dog Franklin who are on the track of... Basilio! Find the ugly big-nosed thief who spoils the harmony and kick him out. ● Hundreds of awesome levels with colorful tokens and explosive combos! ● All your favorite theme lands in one place! 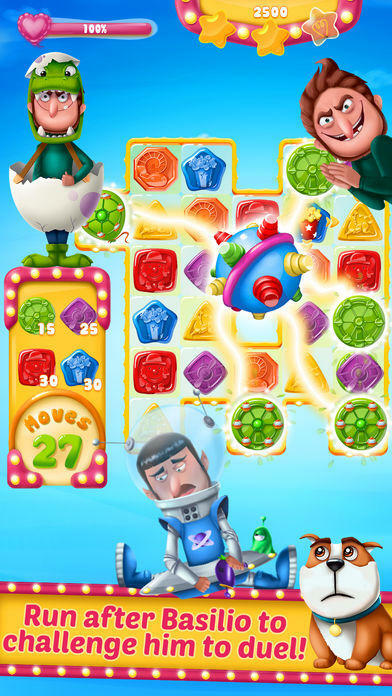 Play together with aliens, dinosaurs, cowboys and even pop stars! ● Ouch! Solve problems in paradise! Send waves of tokens on Basilio’s head once in a while! ● Take on Special Missions! Step inside the secret locations to solve tasks and grab rewards! ● Set of Daily thrills! 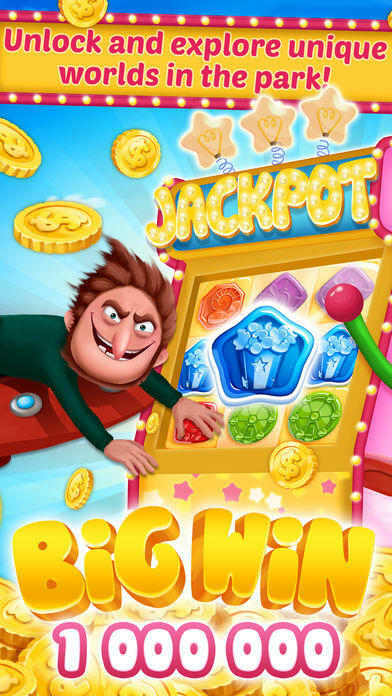 Try to hit the Jackpot on Bonus level! 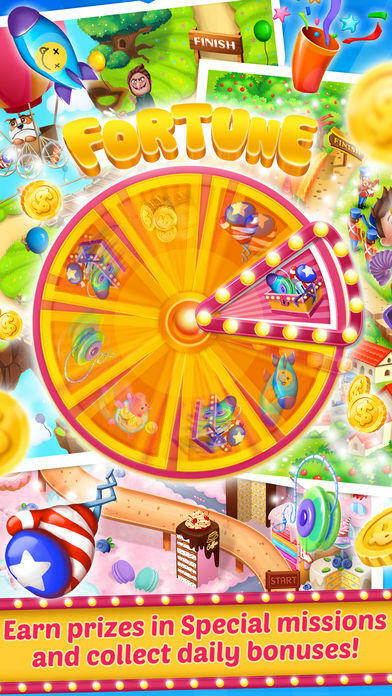 Spin the Wheel for a guaranteed gift! ● Win food fights! Clear tricky snacks that give you a hard time! ● Unleash the magic of booster toys: Yo-yo trick, Boxing Glove blow, Party Popper splash and more! Update your park for 60 NEW levels! - Go to the sands of Wonder Oasis for the hottest puzzle levels! - Think monsters live under the bed? Wrong. They live in the Monster Swamp and have prepared a lot of terrific challenges for you!